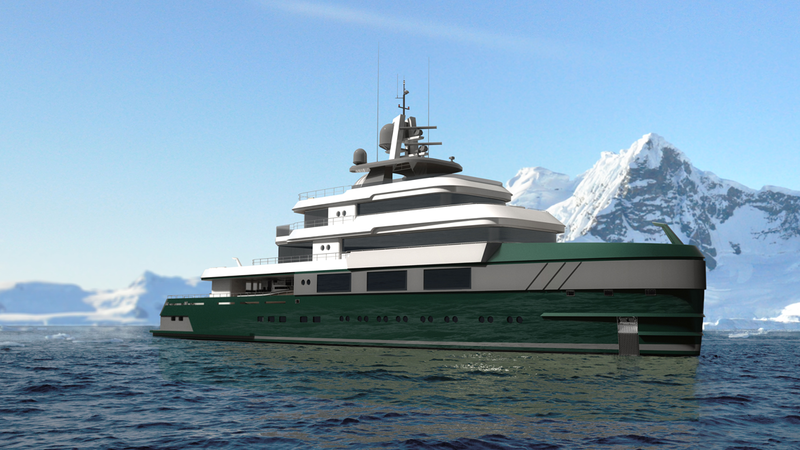 Diana Yacht Design has unveiled a brand new concept for a 60-metre explorer yacht, designed to reach even the most remote areas of the world. 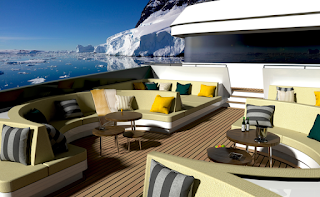 The new explorer design follows on the success of Legend, a fully classified Class 1 ice-breaking ship which was previously converted into the world’s only ice-breaking charter yacht. Capable of taking her guests anywhere in the world, Legend was named the best superyacht in the Rebuild category at the World SuperYachts Awards in 2017. Now Diana Yacht Design has taken its expertise and know-how to the next level with the development of Beyond, a unique explorer yacht created with ocean and sky exploration in mind. The steel hull and forward aluminium superstructure paired with high bow give her exterior lines a sleek and strong appeal, indicating her readiness to master any cruising conditions. “I wanted to create an explorer yacht which really has the rugged look associated with this type of vessel,” explains Casper Marelis, a finalist at the prestigious young designer of the year awards. Presenting his first concept as designer and Naval architect at Diana Yacht Design, he talks us through his vision for Beyond and what makes her a one of a kind explorer yacht. “The grey border interrupts the green hull which makes the bow look even more impressive while ensuring the overall side view does not look too massive,” he says on her exterior styling. In addition to her robust exterior, Beyond also features a wide arrangement for tenders and storage space, which can be easily transformed to suit the needs of the voyage, highlighting the flexibility of her design. The low bulwarks, open decks and glass railing let guests relish the wide views, while the dedicated observatory, located on the sundeck, features a unique gyro-stabilised telescope. “The ability to adapt to and to get the most out of every exploring trip makes Beyond unique,” he explains. 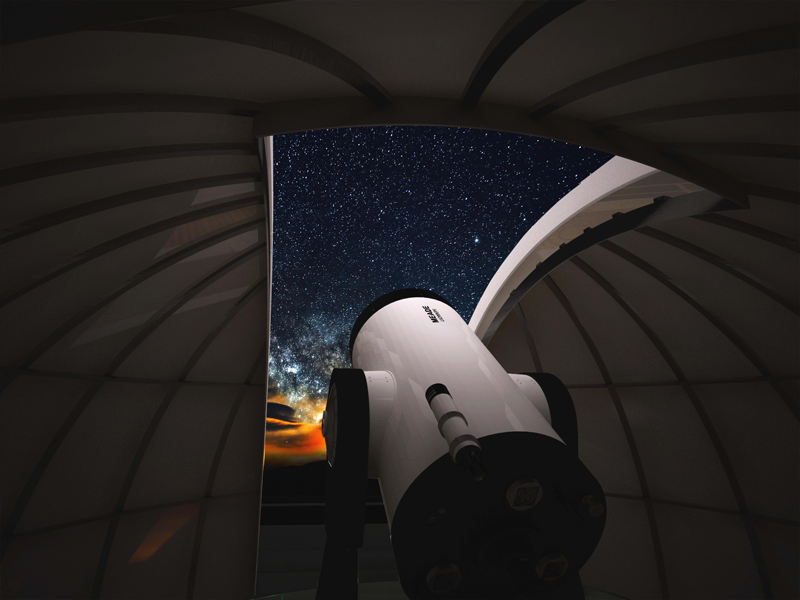 The first explorer yacht design to include a private observatory, the Dutch design firm aims to offer clients the chance go further than what is on the surface of the ocean by discovering the mysteries of the skies at night. Next to the observatory, the explorer design also includes a certified helideck on the bridge deck aft and space for a submersible and toys. 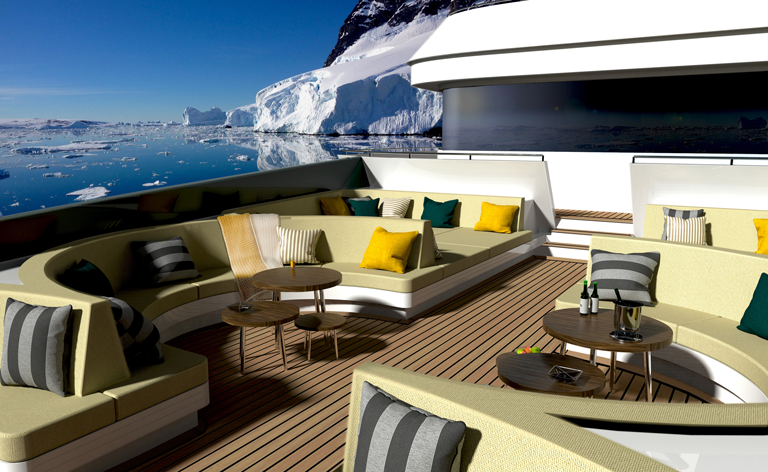 “The multi-purpose tender garage on the main deck, which can be configured to the needs of the exploration to let you store snowmobiles, extra dinghies and skies all in a closed space ensure her owner is able to discover more than just the obvious,” adds Marelis. The tender garage can also be opened up and increase the outside deck, offering guests more space for an outside lounge for example. The sliding doors and four overhead cranes can be used to move the extra vessels or vehicles and are not in the way of the aft main deck for easy access to the swim platform. 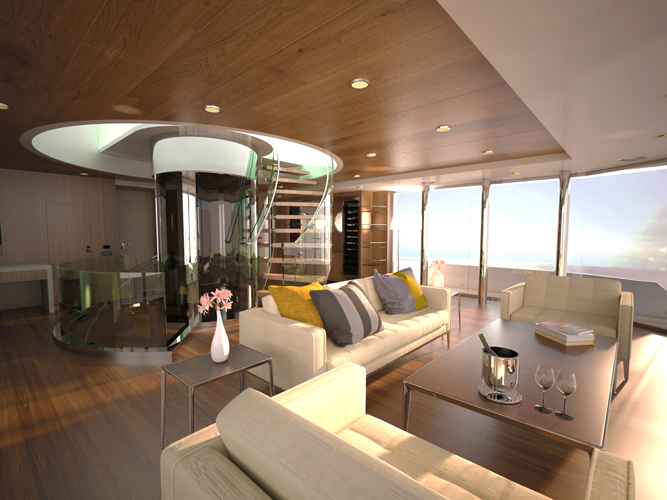 The interior layout of Beyond also supports the philosophy of extended living on board, which is why it includes a cinema on the cabin deck, a fully equipped dive store, an internal boarding room, gym and wellness centre as well as the observatory, with a direct connection to the owner’s lounge, with a private seating area, making it ideal for extended voyages at sea. The owner’s lounge has a complete glass aft all, which offers an uninterrupted view of their surroundings, while the owner’s suite features 180 degrees views and a private jacuzzi. Offering plenty of room for all, Beyond is able to accommodate up to 14 guests in seven staterooms, including four doubles and two twins cabins and the owner’s cabin. The crew quarters are spacious and can accommodate up to 17 crew members including the captain, who has a private cabin by the wheelhouse. The tank deck includes a dedicated laundry area and plenty of refrigeration facilities, with all decks being connected by a dumbwaiter. “One of the biggest challenges when designing Beyond was the proportioning of living spaces in combination with the big tender and equipment storage area,” notes Marelis. “The living spaces are positioned quite far forward, while the lower deck should still be accessible via the central elevator/staircase.” The addition of the observatory with the telescope, incorporated so owners can make full use of the zero to no light pollution zones the explorer yacht can travel to, has been position in a unique way to make sure it did not compromise the overall design and remained clear of the Bimini on the sundeck. Created for clients with a keen sense of adventure and an eagerness to explore the Beyond, this explorer yacht is sure to turn heads. “Beyond was created for a visionary owner, a self-made entrepreneur who made his dreams into a living. His dream is to see the world and beyond and get the most out of every exploration." NBJA © 2019. Niets van de site mag zonder schriftelijke toestemming van de eigenaar worden overgenomen.